Є питання для 120кв.м. 2 спалень, 2 окремих ванних Квартира в Маскалучія (Etna Shelter Holiday House )? Etna Shelter Holiday House is located halfway between the beaches of the Gulf of Catania and the striking Etna landscapes. The structure is surrounded by greenery and is perfect for those who want to spend their holiday relaxing and comfort. Also suitable for those who love to visit places of great cultural and scenic interest. The house consists of an "open space" living room with a double sofa bed and a plasma TV and a well-stocked kitchen. 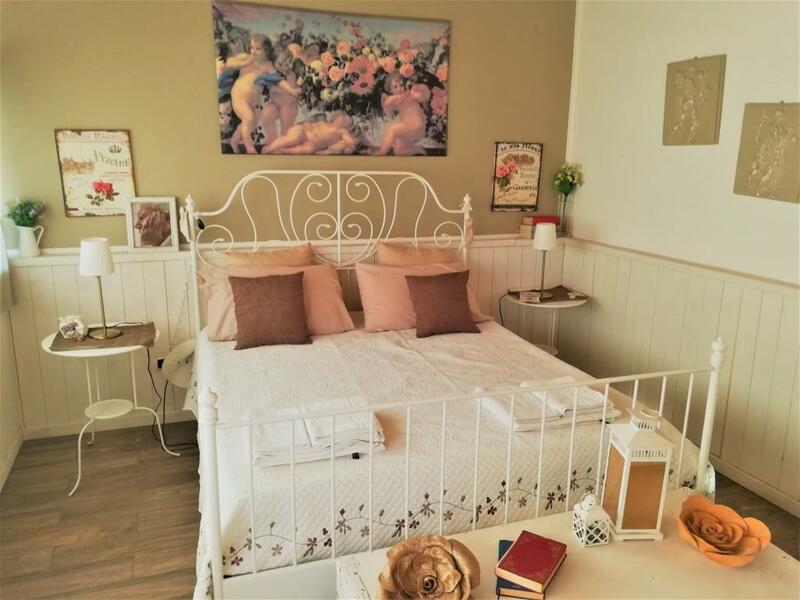 The apartment has a double bedroom with an external bathroom and a suite with a private bathroom and three beds (one double and one single bed). It is possible to use the swimming pool from 9.00 to 18.00 and the spacious garden during the summer. In addition, for those who want to try the typical Mediterranean cuisine you can book breakfast, lunch and dinner thanks to the restaurant service on the ground floor of the structure. Only the people who stay in the structure have permission to access the pool as well as in the house. Our structure is located in an exclusive street for residents only and without traffic that allows you to spend your holidays in absolute tranquility.